We have some updates about the Check In program, and have a new app feature to announce. Musicians everywhere are getting tips for Check Ins at their shows. It's awesome. 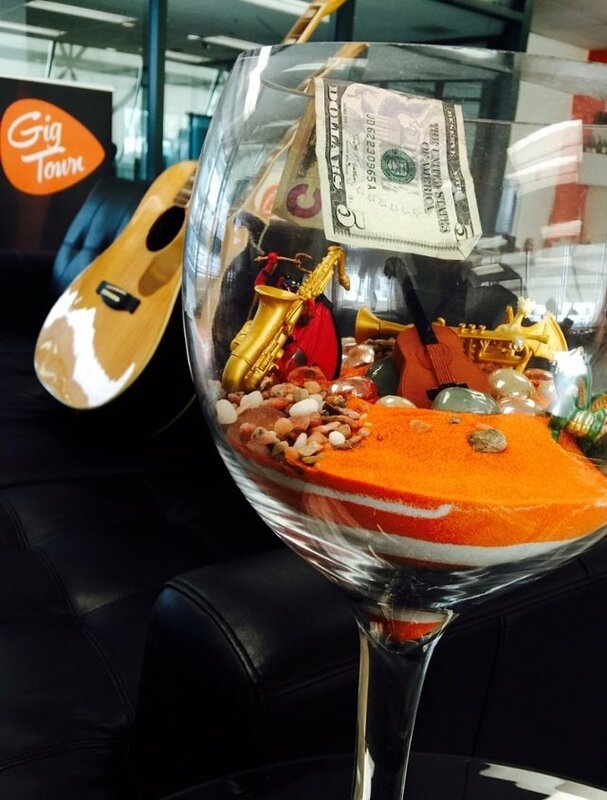 Musicians have made over $100,000 since we started the tipping program in October of last year. When we first came up with the idea, the Check In program was only intended to last for one weekend. We decided to let it ride as long as artists were willing to participate, and we had the money in our budget to do so. It has been incredible. We've heard inspiring stories from all types of musicians in America, from touring bands to solo artists to jazz pianists and even opera singers. While GigTown has only been around for 18 months, the feedback we've gotten from the local music community has been invaluable as we continue to build new features and grow as a company. FEATURE UPDATE: FANS CAN TIP ARTISTS FROM ANYWHERE IN THE WORLD!! Yes, that's right! In the next update, fans will have the ability to send artists a tip and a message, directly through the app. We've included a lot of cool payment options and artists will receive their earnings once a week, along with Check In tips. We'll have a lot more info about this and other cool additions in the next update coming soon.